CAMBRIDGE, Mass. — Scott Hosch threw two touchdown passes in the fourth quarter, Harvard blocked a last-second field goal and the Crimson rallied to beat Dartmouth 14-13 on Friday night for their 21st straight victory. 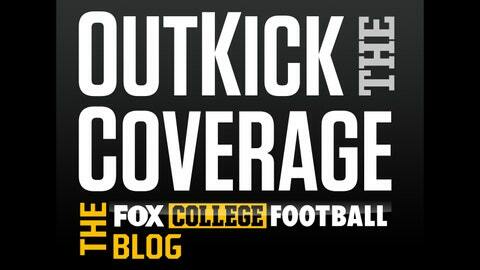 For college football fun, news, and analysis, check out the latest from Clay Travis at Outkick The Coverage. Harvard got on the board with 6:38 remaining when Seitu Smith II caught Hosch’s deep pass on fourth-and-12 and fell into the end zone for a 39-yard touchdown. The Crimson took their first lead with 38 seconds left on Hosch’s 5-yard pass to Justice Shelton-Mosely. Harvard kicked it out of bounds on the ensuing kickoff, giving Dartmouth the ball at the 35. But Alex Gakenheimer had his 46-yard field goal blocked. Hosch finished with 276 yards but had two interceptions. Harvard (7-0, 4-0 Ivy League) was scoreless in the first half for the first time since 2010 and trailed 10-0. Dalyn Williams had 311 yards passing and 49 yards rushing for Dartmouth (6-1, 3-1).